9″ x 42″ Used Supermax Vertical Mill, Mdl. 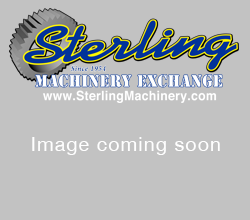 YCM-1 1/2 VS, Sony 2 Axis Digital Readout, #A2032 http://www.sterlingmachinery.com call today! 626-444-0311 To view the specifications, photos, and a video of this machine click here!